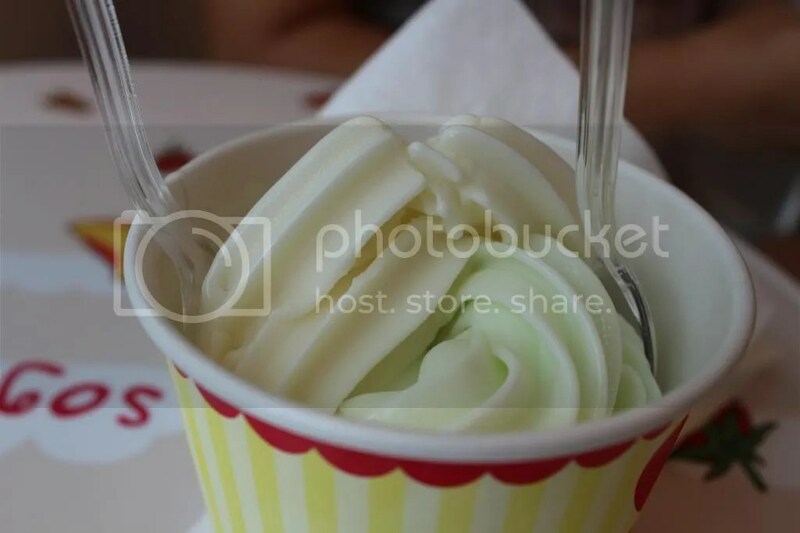 Declaring My Love For Sogurt’s Frozen Soft-Serve Yoghurt – Yummilicious! After switching to a semi-vegan/flexitarian diet, I started refraining myself from eating sweet and processed food like ice-creams, cookies and cakes. Life without sugar seems miserable for most of us but thank goodness, there are always healthier alternatives out there where we could still indulge without worrying how much sugar in it. These days, whenever I’m craving for something sweet for desserts, the first thing I would think of is the frozen yoghurt at Sogurt. Let’s not even talk about how much I love eating yoghurts in general – from plain sourish yoghurts to Greek yoghurt. I even tried making yoghurt at home but a little troublesome having to monitor the temperature and conditions at which the bacteria would thrived. So when it comes to frozen yoghurt, I instantly became a fan of any cafes or eateries which serves good and creamy frozen yoghurt and my favourite go-to place for frozen yoghurt is Sogurt. Sadly, the nearest Sogurt outlet to my home is at The Star Vista mall which is a quite a distance from where I live so as to speak. 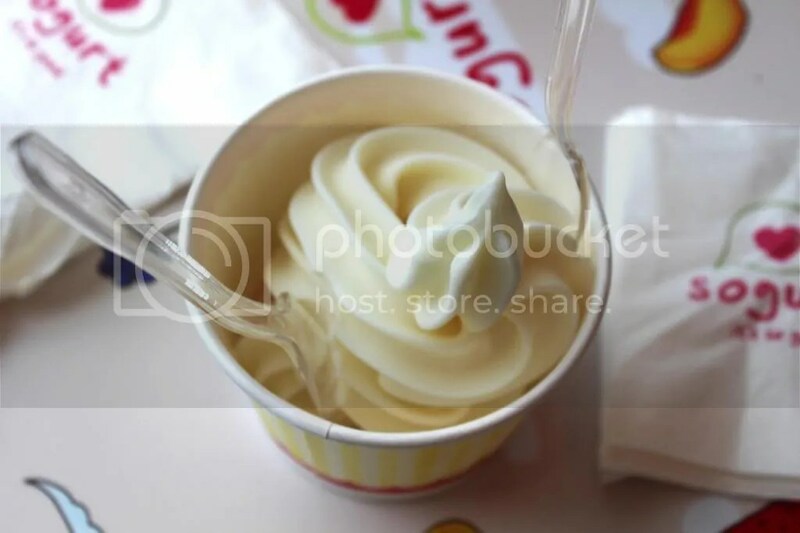 So whenever I frequent the mall at Buona Vista, I would definitely grab some frozen yoghurt from Sogurt. It’s sooo “yoghurty” which is not too overly-sweet. Whenever I’m there, I would only get the plain yoghurt with no toppings. Their low-fat and high calcium plain frozen yoghurt itself is already so yummy and satisfying. Because I’ve been craving for Sogurt so much these days, I even thought of creating my own frozen yoghurt at home. The easiest way to create frozen yoghurt is to purchase Marigold’s Plain yoghurt (with blue packaging) which has some added sugar in it and pop it into the freezer for about 4 hours. 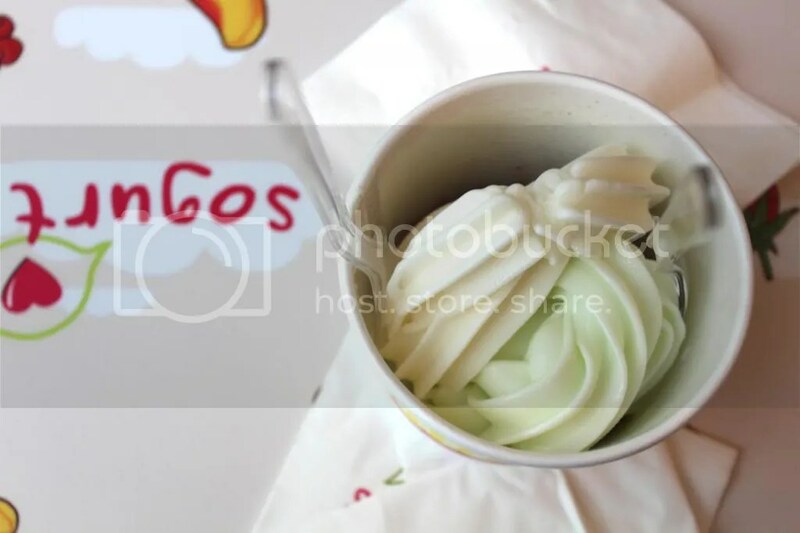 Though it’s nothing quite like the soft-serve kind of frozen yoghurt, but the taste of it is pretty similar to the frozen yoghurt sold at Sogurt. Until I learnt how to replicate Sogurt’s frozen yoghurt, I am still frequenting Sogurt to satisfy my sweet cravings! 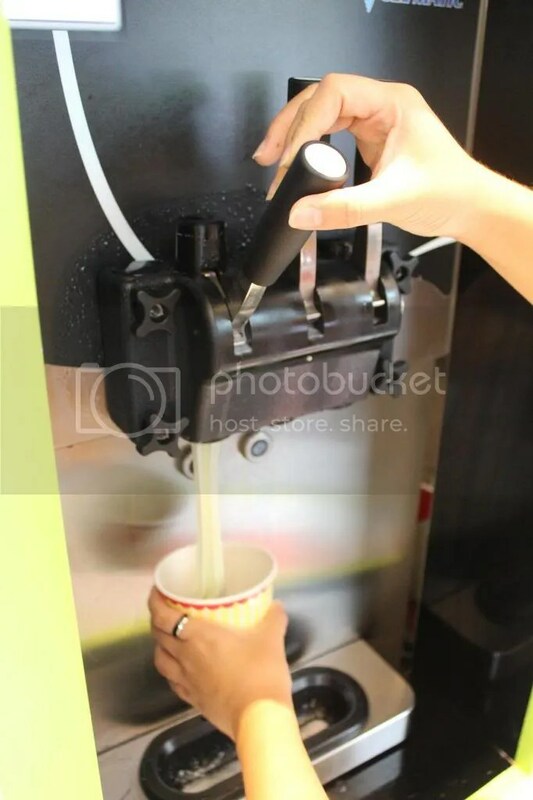 Besides, it’s also fun pushing down the lever of the yoghurt dispenser machine and watch how the creamy frozen yoghurt twirls and flows into the cup. By the way, if you’re a Watson’s card member, you’ll get 15% discount at Sogurt! That’s another reason for me to have more Sogurt. Perhaps working as a Sogirl would get me to work out their secret recipe (Jokingly). An interview with the founder of Sogurt would probably work out great as well. Only then I would be one step closer to find out how to make one of the best frozen yoghurts in Singapore. No, I wasn’t trying to follow Ryan Higa. Okay, yes, I was.